Don't set off for a day in the outdoors without your protective sunscreen. This squeeze bottle offers a carabiner, making it easy to carry and keep close at hand. Protecting yourself and loved ones from damaging sun rays is a must before you set out to enjoy a day in the sun with family and friends. 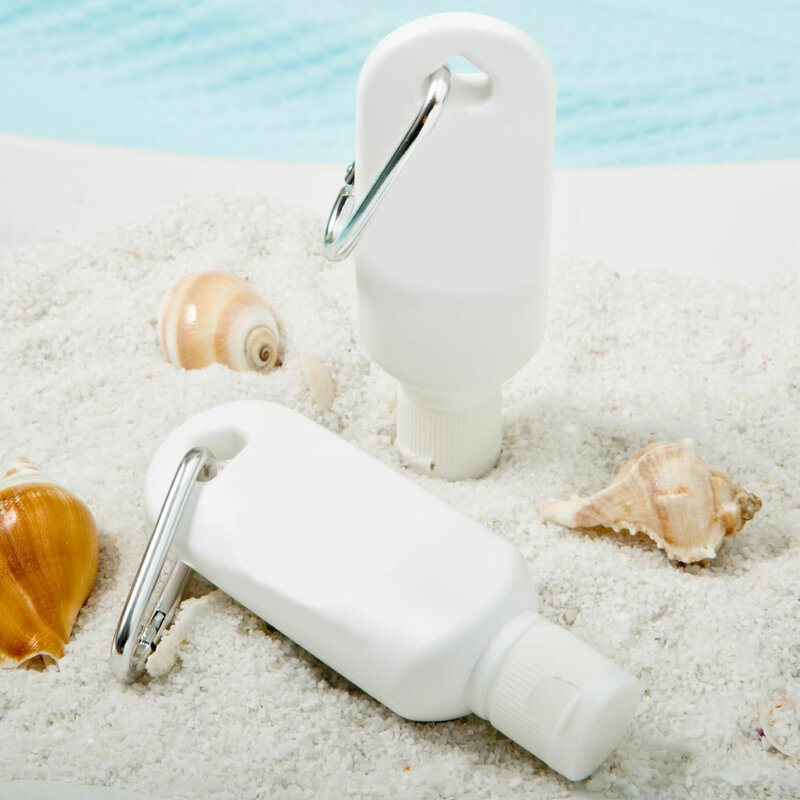 Our quality sunscreen offers an SPF30 rating and comes packed in an innovative white plastic squeeze bottle. The design features an attached flip top, so you need never worry about misplacing the cap. It also has a hole molded into the top for placement of a silver carabiner. This makes it extremely convenient to attach to a belt, strap of a backpack or your preferred carrier, where it will always be easily accessible. Our sunscreen makes an ideal favor for barbecues, beach parties and other events held outdoors. Size is 3 3/4" x 1 1/2" x 5/8"
A functional favor for any outdoor event in the sun! Order above quantities & save! SOLD OUT - More on the way, expected Saturday 11 May, 2019. You can pre-order now and it will ship once available.